Carmen holds a B Sc (Hons) degree in Physiotherapy (UCT) and is a post-grad OMT level 1 trained Physiotherapist. She has 10 years of valuable experience in treating neuro-muscular-skeletal and sport injuries. Carmen has a passion for continued education and a drive to provide the best care for her patients and their injuries. She has attended numerous courses, conferences and lectures relevant to her field. * She has established invaluable relationships with specialist surgeons, sports physicians, other physiotherapists, radiologists, biokinetcists, chiropractors, podiatrists, dieticians and other allied professionals to provide an information and referral network, ensuring the most comprehensive care is provided to you, the patient. Carmen has a love for the outdoor life and sport, with an absolute passion for mountain biking. She has competed at national level in track events, has achieved a sub-40 min 10 km and has participated in adventure racing and trail running. Having successfully completed the ABSA Cape Epic, Joburg2c twice and consistently finishes in the top 10% of cycling races she enters. Carmen understands the demands of training for endurance events and the injuries which may come along with them. 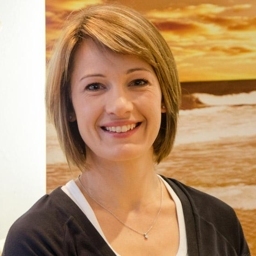 Her extensive knowledge, care for people’s well-being and years of professional and sporting experience allows Carmen to provide an individualised, holistic assessment and treatment approach. Empowering and inspiring you in your recovery is Carmen’s goal. It is important to her that you understand your body, your injury and achieve your optimal level of health and fitness after an injury.